Work-related injuries and illnesses cost employers nearly $1 billion per week for direct employee compensation costs alone. This amount doesn’t include indirect costs, such as lost productivity, training replacement employees or decreased workplace morale. The good news is that most of these instances can be avoided. Implementing safety measures can help protect your employees, improve job satisfaction and minimize unnecessary (and exorbitant) expenses. These employee safety tips are cost-effective and require minimal time or effort, as well. Before you can begin creating a safer work environment, you must determine potential dangers. Performing a risk assessment is the best way to identify hazards. Once you have pinpointed these risks, it is essential to clarify who could be injured and how this could occur. Create a checklist that you can use initially and refer to in the future. Classify the list into various categories, such as slip, trip and fall hazards, electrical hazards and ergonomic concerns. In addition, document any lack of emergency procedures and organization or process flow in the workplace. When you have this information, you can work towards establishing control measures. Whenever new equipment, processes, substances or other potential hazards come into the workplace. Any time an incident occurs that sheds light on a potential risk. When changes affect the potential level of an existing hazard. Creating a safety policy to which management and employees can refer eliminates any reason to overlooking, second-guessing or speculation in the workplace. A good rule of thumb is to break the policy down into three sections: your company’s general policy statement on health and safety in the workplace; a responsibility section, which explains who is accountable for specific actions; and a section detailing practices and procedures. Make sure that you clearly identify your objectives. 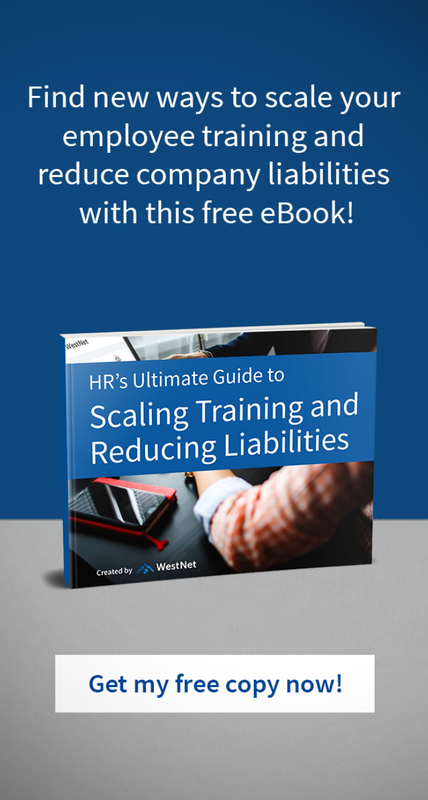 List actionable, specific statements that clarify expectation and include reporting guidelines for employees and management to follow should they encounter a hazard or an unsafe practice. Conclude with an explanation of consequences that will follow in the event of noncompliance. Number all procedures for future reference or modifications. Wording should provide sufficient detail and the language should be simple and straightforward, leaving no room for interpretation or confusion. Of course, all procedures and policies should be compliant with any legal requirements or other standards your organization must meet. Before you complete your formal policy, present it to a panel comprised of volunteer employees representing your workforce. These committee members should be informed about the conditions of their respective areas and able to communicate this information on behalf of their colleagues. Provide all manuals, policies and procedures regarding safety to the task force. Charge the group with reviewing this content. The panel should then suggest additional safety measures, any concerns or other ideas and recommendations. Employee safety tips from those on the front lines can be invaluable when creating a formal policy. To introduce and maintain an effective workplace safety committee, consider the following. Focus on progress rather than perfection. Plan meetings in advance with all task force members’ schedules in mind. Rotate panel volunteers every quarter, six months or year, depending on how often they meet and how many employees you have. According to a survey by anonymous workplace app Blind, as many as 83 percent of employees do not trust their company’s HR department. To achieve the safest workplace possible, fostering an environment where staff feels comfortable communicating with human resources is essential. Employees must not fear reporting issues or sharing safety concerns. Find ways to encourage open dialogues with workers. For instance, have consistent one-on-one meetings to “check-in” on staff members. Create an inviting space for all employees to relax and engage at lunch and during breaks. Encourage staff and management to get away from their work space and converse when rather than eating at their desks. Address any concerns immediately and ensure employees never feel reproached or condescended for conveying their concerns. While tackling these problems might cause more work initially, employee safety tips can save considerable time and money in the long run. The American Institute of Stress reports that job-related stress costs companies in the United States more than $300 billion annually. Along with diminished productivity and more absences, stress can also increase workplace accidents and injuries. The most effective way to avoid this is to be proactive. Prepare for stressful situations that are likely to occur. Assess existing needs and take immediate steps to satisfy them. Revisit the corporate culture of your business. Determine whether your values, expectations and reward system cause employees to feel acknowledged and supported or overwhelmed and frazzled. Improving the atmosphere will also improve moral, dedication and safety. Offering desirable incentives can help increase employee awareness regarding workplace safety. It also shows that management is attentive, noticing and rewarding positive behavior. You should tailor incentives to employees rather than management. Establishing clear guidelines regarding performance measurement, monitoring and rewards before launching an incentive program is crucial, as well. Consider encouraging proactive behaviors, such as safety meeting attendance and reporting hazards. Incentive programs such as prizes based on a certain number of days without any incidents could lead to unreported accidents or injuries. Remember that the primary goal of this type of program is to reduce injuries and accidents. Initial employee safety training is essential, but ongoing instruction is also imperative for refreshing workers’ understanding of procedures as well as learning new information. An effective, easy to use learning management system can help you administer, document and track safety training while improving employees’ comprehension and retention. A quality learning management system will make employee safety training engaging, even fun. In addition, a good LMS ensures current and compliant information. Other factors to consider include ease of integration, robust reporting features and content compatibility along with reliability, security and a price point that fits your organization’s budget. Above all, a learning management system should help your organization keep your employees safe and healthy. If you would like to learn more safety tips, or learn more about how an LMS could help you improve employee safety, schedule a 1-on-1 strategy discussion today.